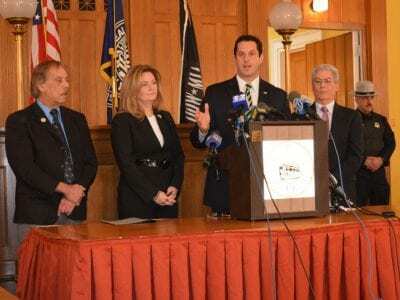 Clerk Dennis Sant, County Executive MaryEllen Odell, State Sen. Greg Ball and Assemblyman Steve Katz at a news conference Thursday about denying access to pistol permit records in Putnam County. Photo/Doug Cunningham Couching the fight as one of righ… Please login below or purchase a subscription to the Putnam County Courier to access this content. Russian president Vladimir Putin last week signed into law an act forbidding Americans from adopting Russian orphans. Ripples from this unfortunate move are spreading all the way to Putnam County. The immediate victims of this action, of course, are… Please login below or purchase a subscription to the Putnam County Courier to access this content. Eric Gross Putnam Legislator Anthony DiCarlo, who is also a school principal, said he believes that the demand for school safety from parents and the state’s 2 percent tax cap are colliding, and that taxpayers are willing to pay for safety. S… Please login below or purchase a subscription to the Putnam County Courier to access this content. 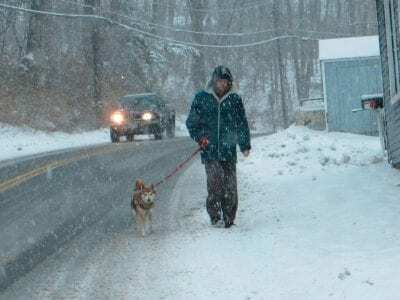 Tommy Underwood takes his pooch for a walk in the snow. Saturday’s snow—the final storm of 2012—coupled with last Wednesday’s earlier blast of winter is keeping skiers and other outdoor enthusiasts hopeful that weather will be… Please login below or purchase a subscription to the Putnam County Courier to access this content. 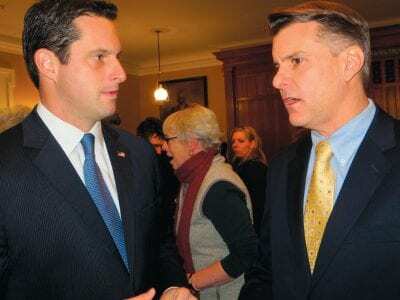 State Senators Greg Ball and Terry Gipson discuss issues pertinent to Putnam County at the inauguration. There was standing room only inside the historic Putnam Courthouse on New Year’s Eve when officials on the state and county level took thei… Please login below or purchase a subscription to the Putnam County Courier to access this content. 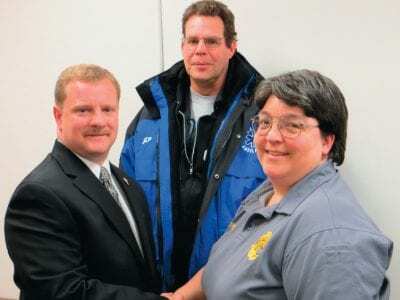 Adam Stiebeling is congratulated following his appointment last week by James Lowe, ex-captain of the Carmel Volunteer Ambulance Corps and by 9-1-1 Chief Dispatcher Cindy Jacobsen. Putnam’s long time Commissioner of Emergency Services Robert Mc… Please login below or purchase a subscription to the Putnam County Courier to access this content. Here’s a statistic Putnam isn’t proud of: New York State’s second (only to Rockland County) smallest county in geography is ranked among the top statewide by the New York State Association of Realtors when it comes to foreclosure a… Please login below or purchase a subscription to the Putnam County Courier to access this content. Great Networking, Marketing and Exposure Opportunity! Are you a Groundbreaker, Innovator, Pioneer or Trail Blazer? With the inaugural Putnam County Chambers of Commerce 40 under 40 awards program just around the corner, there’s still time to become one. All across our county, businesses are… Please login below or purchase a subscription to the Putnam County Courier to access this content. The Putnam Legislature established salaries for county officials at its yearend meeting last week. County Executive Mary Ellen Odell will earn $148,635 in 2013 while her deputy county executive Bruce Walker will be paid $114,812. Members of the legi… Please login below or purchase a subscription to the Putnam County Courier to access this content.